New data has revealed the highest-yielding suburbs in each state. Small towns with tourism-based economies attracted the highest yields in the country; however suburbs in key mining regions have also returned impressive figures despite recent speculation over the state of the resources industry, according to nation-wide figures from CoreLogic RP Data. 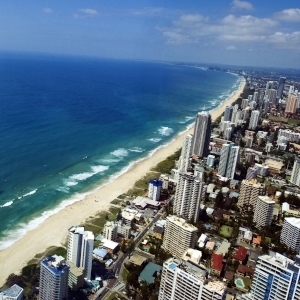 The tourist town of Mission Beach in Queensland returned the highest rental yield in the country, with a gross return of 29.03 per cent. Port Vincent, traditionally a popular seaside holiday destination in South Australia, recorded the second highest yield of 17.46 per cent. Killcare on the New South Wales Central Coast returned a figure of 12.05 per cent, ranking third in the state. Propertunity managing director Alan Fox predicts that these figures are skewed by the high proportion of holiday rentals in the area. “There are a number of holiday homes in Killcare that are advertised for rents of minimum $2,000 per week to $4,000 per week, and I strongly suspect these advertised rentals are skewing the per cent rental yield figures,” he said. He argued that residential rentals are yet to catch up with increased sales prices in Killcare, where prices have been subject to a period of growth. “The real rental yield is more like 3.5 per cent to four per cent since prices in Killcare, like many places on the Central Coast, have risen about 10.5 per cent in 2014 and rents are yet to catch up,” he said. The area’s popularity with holidaymakers owes much to an older-than-average population, according to Mr Fox. “The biggest proportion of residents are in the 50-59 age bracket – families without kids at home. So most are retirees that are not in full time work. This makes Killcare appealing as a holiday rental location because of the quiet lifestyle and nearby water activities and National Parks,” he said. Despite commentary referring to a crash in asking prices in the Pilbara Region, Port Hedland has been revealed as one of Western Australia’s best performing rental markets, with a yield rate of 9.85 per cent placing it fourth in the state. SQM Research’s managing director Louis Christopher last year said the town’s sales market had plummeted, relaying a 40 per cent reduction in asking prices according to data published by his company. Just last month the passing-in of a house, thought to have been previously purchased for $1.3 million, at $360,000 added to the negative analysis of the market. However, Crawford Property Group founder Ryan Crawford recently stated that the long-term market outlook for the Pilbara region, including Port Hedland, remained positive. He explained that the mining sector was simply transitioning to a more sustainable phase following its rapid development, and predicted that both rental and sales prices would experience new growth. “The mining boom is not over. Put simply, as the iron ore industry moves from the construction phase to the operations phase and commodity prices drop, so too have rents and home prices. A drop in prices in every marketplace is a natural part of the property cycle and is expected historically in these regions every four to five years. The benefit of these shorter cycle markets is that up-cycles and growth are just as frequent when projects commence and the market begins to improve again,” he said. Broken Hill in New South Wales is another town highly reliant on the resources sector. Ranked fifth in the state, it recorded a rental yield of 11.34 per cent. In the Northern Territory, the newly established suburb of Zuccoli returned the highest yield of 13.24 per cent. The suburb, located approximately 25 minutes from Darwin’s CBD, is a multi-stage development consisting of land releases and house-and-land packages. Clarendon Vale, a 15 kilometre drive away from Hobart’s CBD, recorded a yield rate of 8.87 per cent. It is the sixth highest yielding suburb in Tasmania.